The featured artist at McGough and Company in October is Brian Braunberger. 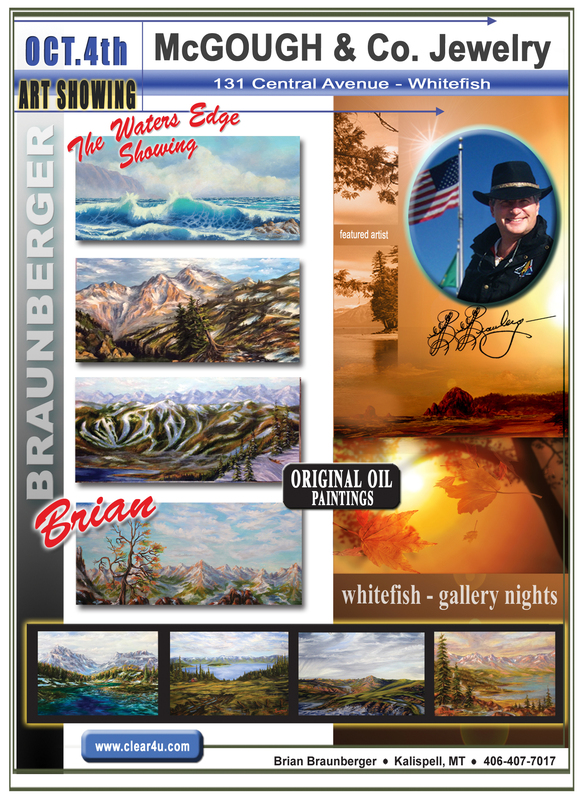 Brian creates original oil paintings of the northwestern landscapes in the Flathead Valley. Visit McGough and Company during the last Gallery Night of the season on October 4th from 6-9 pm.